What is the market doing in your area? Click below to see the market trends. Find your dream property. It's just a click away! Contact us today to get on your way to making that dream home become YOUR home! 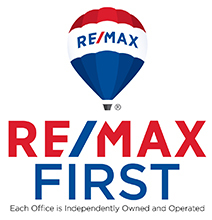 RE/MAX First has won numerous awards for its superior real estate performance. Our agents are some of the TOP area REALTORS and are ready to serve you! Our agents can handle it all!! Realtors licensed in East Baton Rouge and surrounding areas.